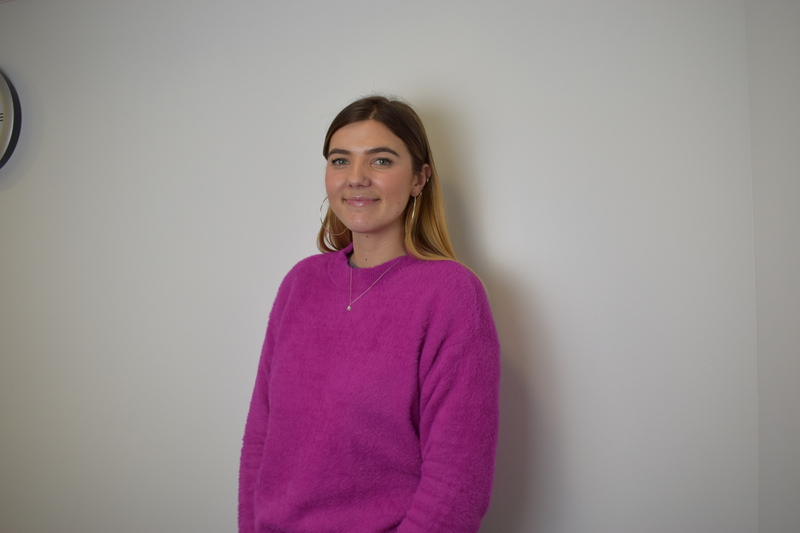 Hi everyone, my name is Izzy and I am the new Communications and Support Officer for SWAN UK. Last summer I finished my master’s degree in Anthropology at the University of Amsterdam. I then moved to London and worked at a renewable energy company for a few months before joining the SWAN UK team. I started working at SWAN UK back at the beginning of March, but I’ve been busy getting to grips with everything behind the scenes which is why I’m only just introducing myself to you guys! What most appealed to you about this role? Working for SWAN UK appealed to me as I have grown up with an undiagnosed sister. I am the second oldest of four girls and one of my younger sisters has a unique genetic mutation. Her genetic condition was not diagnosed until she was 10 years old and I’ve grown up watching my parents struggle to access the information and support that she needed, even after the diagnosis was received. So, when the opportunity came along to work for SWAN UK and help support families in the kinds of situations that I had grown up experiencing, I had to go for it! Can you tell us a bit about what your role involves? My role at SWAN UK involves a little bit of everything. At the moment I’m busy helping coordinate lots of events for Undiagnosed Children’s Day as well as creating social media content to raise awareness of SWAN UK and Undiagnosed Children’s Day. I’m going to be running most of the SWAN UK social media accounts, and I’m looking forward to speaking to lots of you online through them! I’ve also been running some SWAN UK information stands and have been in touch with our Parent Reps to make sure that they have all the help and resources that they need to run their events. So far I’ve also managed to attend a few events that SWAN UK Parent Reps have been speaking at – these have been really inspiring and such a good introduction into the world of SWAN UK. I’m really looking forward to getting to know more of the SWAN UK families, whether that’s through chatting in the Facebook groups or by going along to SWAN UK events. I can’t wait to meet as many children, young adults, brothers, sisters, mums and dads as I can! What do you like most about communicating with and supporting families? It’s great to get to know lots of the SWAN UK families’ stories and learn how everyone’s experiences of undiagnosed genetic conditions are similar and yet so different at the same time. My family’s experiences with my sister have shown me how important it is that people have access to the right information and support and can get to know other people in similar positions who just ‘get it’. Are there any particular communications platforms that you’re looking forward to learning? I love Instagram and taking and editing photos, so I’m hoping to make the SWAN UK Instagram page a bit more engaging. Where in the UK do you most want to visit in your role? Obviously I’m looking forward to visiting SWAN UK local networks everywhere! But I am particularly looking forward to visiting Bristol – I spent three happy years at university there and love the city, so I’m always looking for an excuse to go back. What gets you through the day at work? Looking through our Facebook groups and seeing all of the fab pictures you’ve shared – it’s definitely hard not to get distracted! When I was younger I used to have some interesting pets, including hermit crabs, Giant African Land Snails, and two newts that I named Fred and George after the twins in Harry Potter. I grew up in South Devon, so I think I would have to say the beach, especially if the sun is out and it’s warm enough to go swimming!